Self contain private room that sits up to 48 people. Always a great choice in Augusta. Food and service are great. The menu stays fresh. Always enjoying a terrific meal at Caddwalladers during Masters Week. Mr. Colden is welcoming as is the rest of the staff. The food is always A ++++. We were there from out of town during the Masters and looking for a good steak restaurant. This place nailed it! We both ordered the filets and it was one of the best steaks I’ve ever had! The tuna was great as was the halibut. The waitstaff was very attentive even on a busy night before the Masters. I would return anytime. This is the first time to Cadwalladers. We had just arrived from Savannah and were ready for something other than seafood. My wife and I ordered steak. I must say it rivals any expensive steak restaurant we have ever been to. Our service was equally top shelf and the owner of the restaurant stopped by our table for a moment to chat. We had a delightful meal and evening. Excellent, as always. Could consider more comfortable chairs. It was the most quiet/ intimate/ romantic setting. Private booth. Our server Kathy was excellent. The manager is so friendly and makes it a point to make sure every is satisfied. To top it off the food was so unbelievable/ flavorful & memorable. Loved the atmosphere. 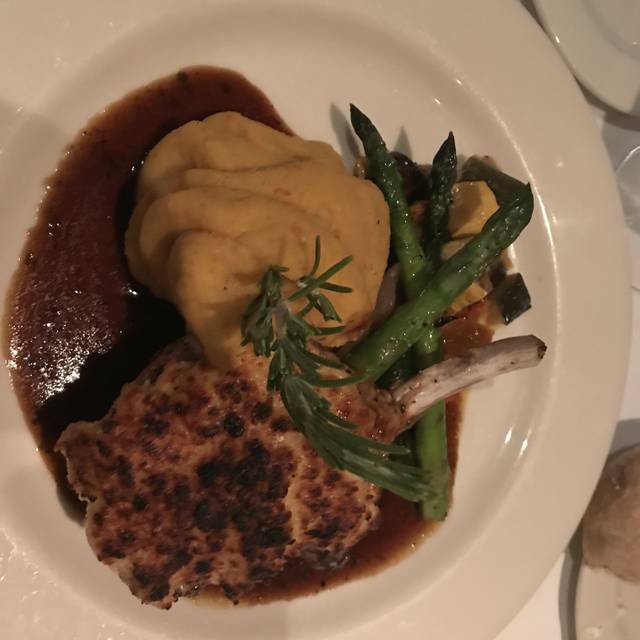 The food was great and the service was wonderful. Delicious food well served. Personalized by owner. Great deserts. Excellent dinning experience. We will be back. We look forward to trying other unique dishes. The food and the service were great. The atmosphere was not the best and some groups that were seated close to us were loud. This was the best place to spent my anniversary .food was real good and tender meat .the owner always greeds his costumers .i like that .it is more personal .the athmosphere is very nice .i will come back for sure. Typically a great restaurant, but this particular evening it was just ok. They usually have great roasted vegetables, but were out of my favorites that evening. The service is also typically top notch, but our waitress seemed over committed, and the service was just not up to par. That said, it remains one of my top choices for a nice evening out, and of the many times I have visited this was the only time I was less than happy. 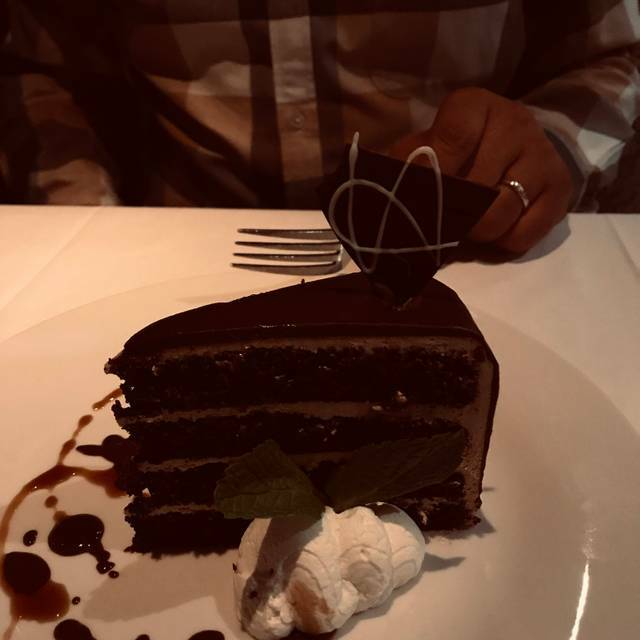 I highly recommend the petite filet, and their desserts are divine. This is the best restaurant in Augusta - great food, great atmosphere! As always, great food, great drinks and especially great service. Extensive food and drink offerings, prepared exquisitely. The owner always comes by the table to check on things, which leaves an impression that he truly cares. Great dinner w/ my son & as usual the experience was awesome! Our waiter John recommend every thing we had from the bourbon to the dinner, & the dessert. This place is the best in Augusta & maybe not an every night place for us but on this one we love every time! From the moment we walked in the service was good. The food was Phenomenal. Every bite was perfect. The owner was very attentive and friendly. 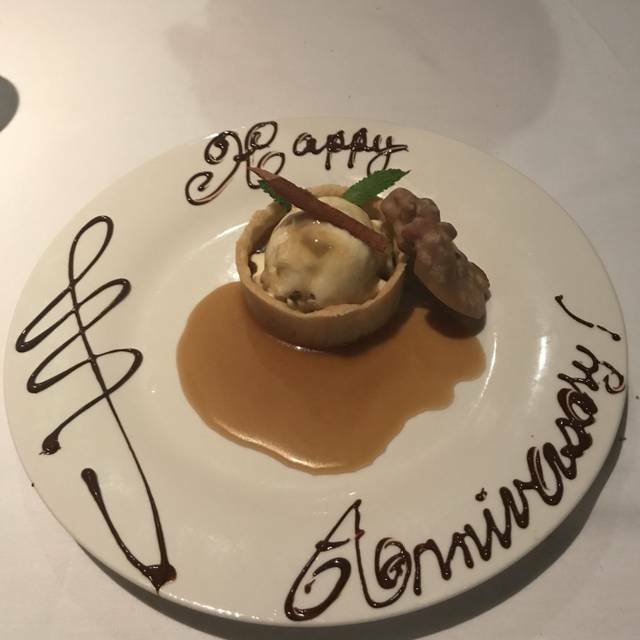 We went for our anniversary and our desert even said “happy anniversary “ written in chocolate sauce. We will be returning. Highly recomend it. Cadwallader is a rare restaurant experience. The owner and wait staff greet you personally. The food is top quality and crafted distinctly. The ambience is a pleasure. Overall an uplifting value. We are never disappointed at Cadwalladers and it has become our go-to place for special occasions. 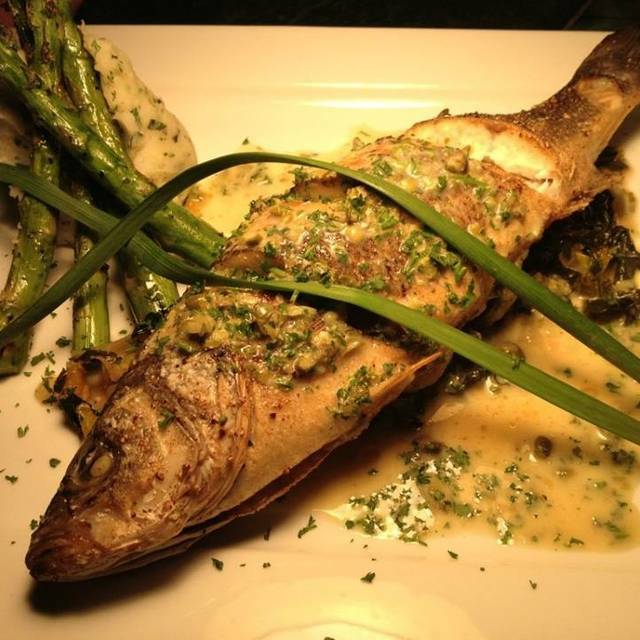 The menu is creative, preparation excellent and presentation impeccable. Great food and service. Restaurant was on the warm side. Great food and environment friendly staff no rush and quality food! 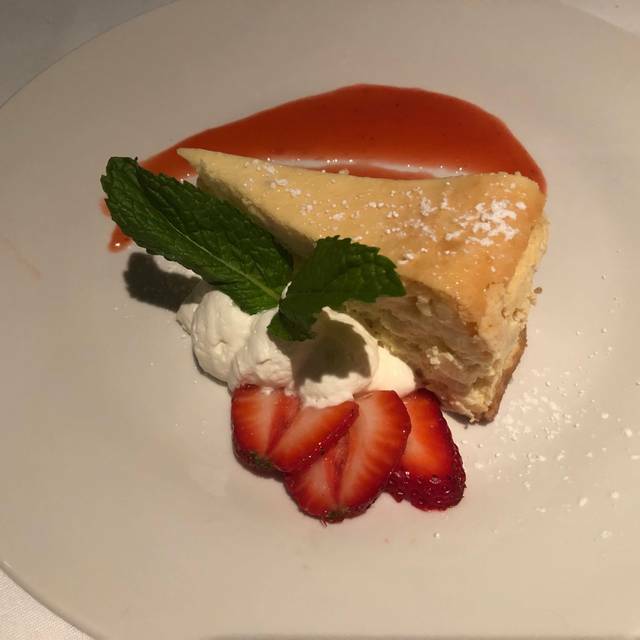 Never disappoints; we have been loyal customers for years and are always pleased - excellent wines, delicious food, cozy atmosphere, and decadent desserts... a great choice for special occasions like this Valentine’s Day dinner- best restaurant in the area! 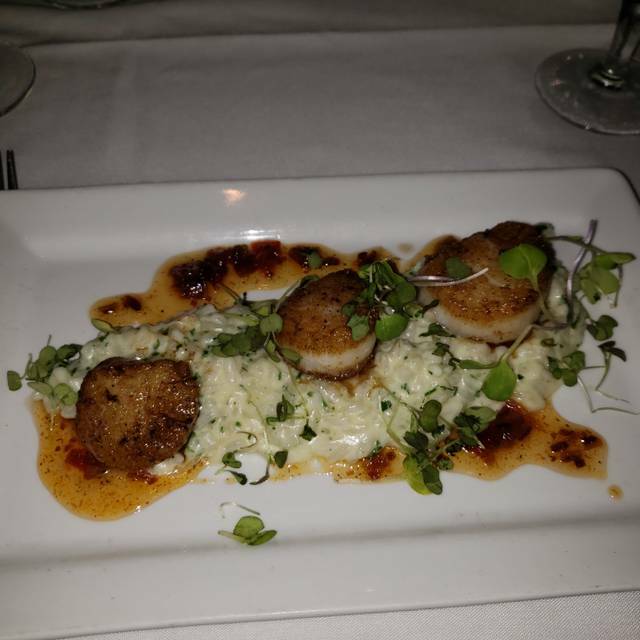 Cadwallader’s never fails to impress with their excellent food and service. It is our favorite restaurant in the CSRA! Cadwallader's is the hands down best restaurant in the Augusta area for a quiet, dignified, quality meal. No need to scream at your dinner partner to be heard over the screaming diner you are rubbing elbows with at the next table! Food was great. The service could use some more experience. The gentleman who was at the hostess stand was very disruptive to our table. Great place to enjoy a suburb meal. 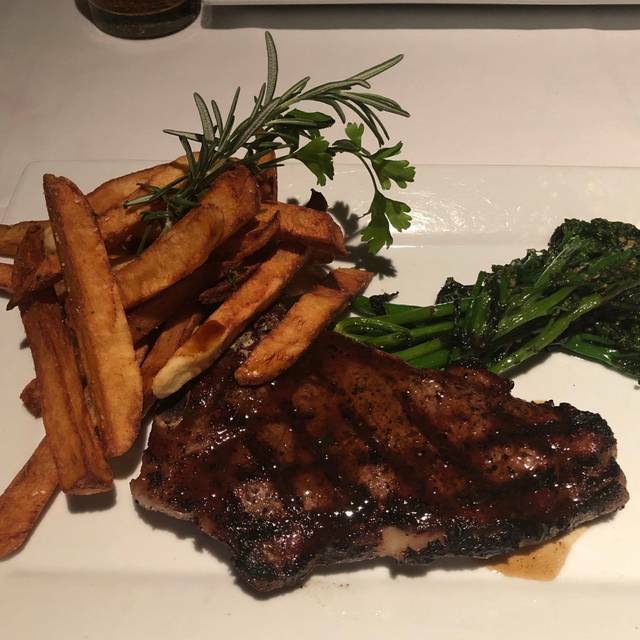 Food, service and atmosphere are always great. 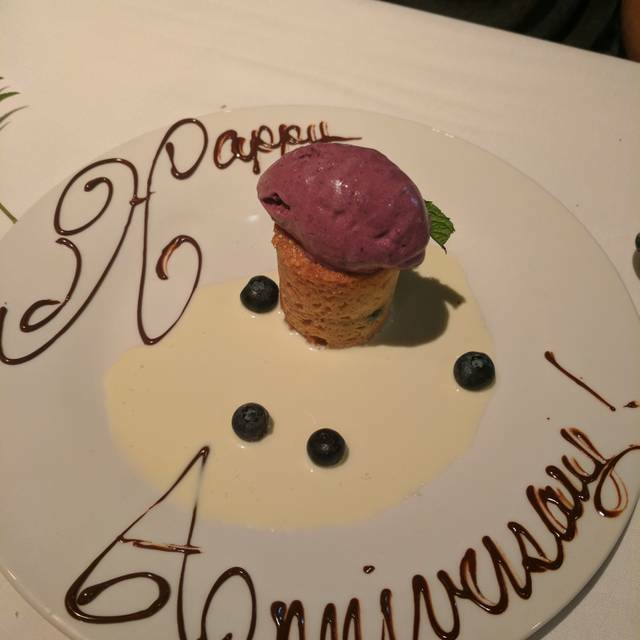 Went for an anniversary diner and we were very satisfied! Always delicious! Our group enjoyed everything about the night! Fantastic food. Great customer service. This restaurant truly presents the customer with a. Fine dining experience. The staff was very kind and the food top notch. Highly recommend for special occasions. food was average at best and service terrible even though they were not busy...will not go back !! I went to Cadwallader's for my birthday. My opinion of the food is mixed. I especially liked the celery root soup and I ordered the filet. 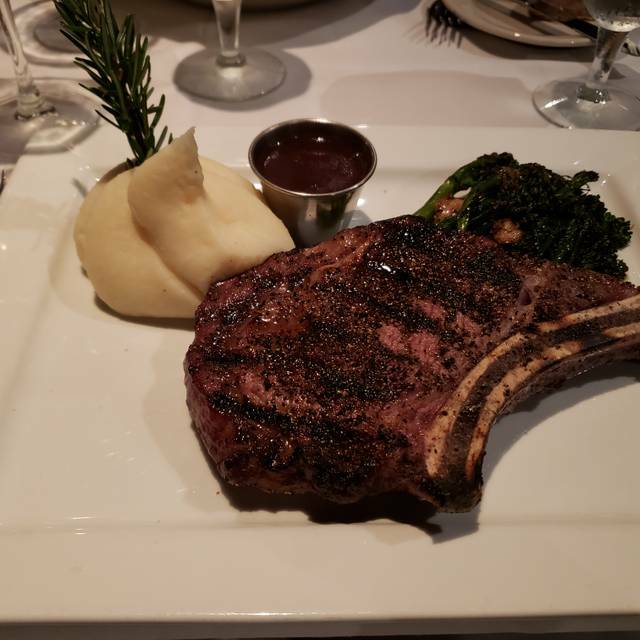 The steak was cooked to perfection and rested on mashed potatoes with a side of the typical vegetable medley. That was the only part of my plate I found wanting. Zucchini and green beans (that were not strung) were over-cooked and slimy. The server was nice and offered a birthday wish, but nothing more, not even a scoop of ice cream? So, we may go back, but the menu did not offer anything interesting that I would come back and try. Other restaurants in Augusta at this price point are more interesting. Although the food was good, the dining room was so loud that we could not have a conversation with our friends. The wait staff seemed overwhelmed and frazzled. My husband and I had an awesome dinner! John, our waiter, was very attentive. He checked on us frequently but we never felt rushed. The tuna was cooked perfectly! Peaceful atmosphere. We were able to relax and talk. We’ll be back soon. Cadwalladers is always a nice place to dine for a quiet, elegant dinner. The food is always good and the service is perfect. We enjoy coming here and should really come more often. Cadwalladers is without question, the CSRA's best kept Dining Secret for any special occasion. The atmosphere, the service, and the Entrees are always a 5 Star Experience. Steak was unbelievably tender and flavorful. Quiet, relaxing atmosphere with attentive and friendly service.